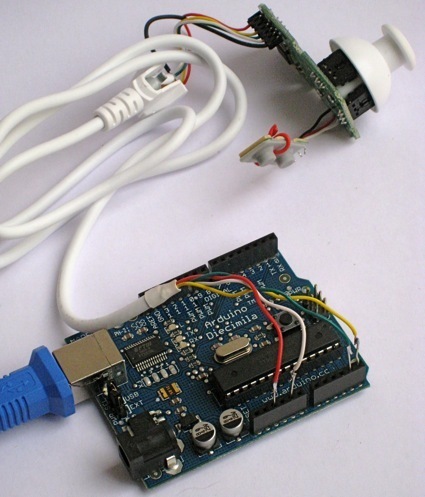 It’s very easy to hook up to an Arduino and there’s a good example on the web to read out all the sensors. I’ve tweaked it a bit to use pins 8 and 9 as the I2C/TWI interface. Connections above are as follows: red = +3.3..5V, white = ground, green = SDA, yellow = SCL.